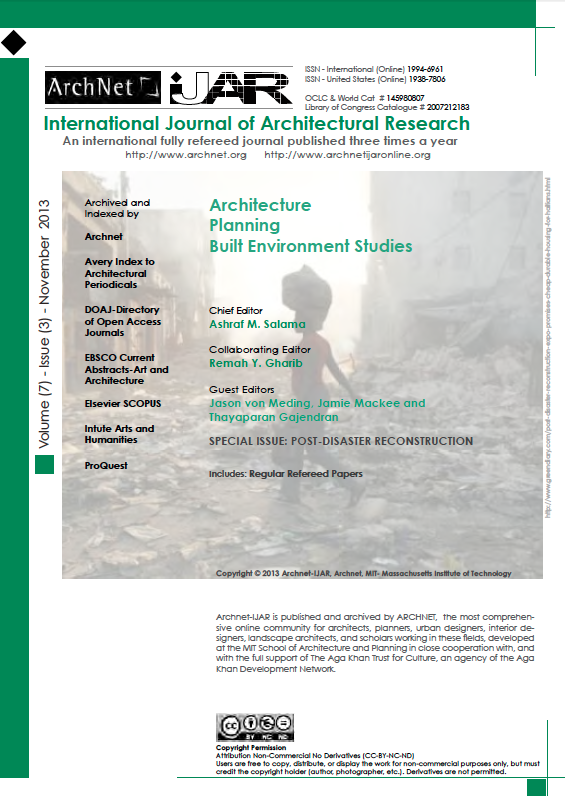 It is with great pleasure that I would like to announce the publication of a special issue of IJAR (International Journal of Architectural Research) focusing on post-disaster reconstruction. This issue has been guest-edited by three of the Disaster & Development Research Group (von Meding, Mackee & Gajendran) and represents a collection of papers that add to the body of knowledge in this research area, each composed from a built environment perspective. You are now warmly invited to download the entire issue or individual papers here. We are delighted to publish this collection in Open Access format, allowing the works to be disseminated far and wide without restrictions. Please consider sharing with your research networks! Thank you to all the authors and reviewers that contributed to the issue, and to the Editor-in-Chief of IJAR, Prof. Ashraf Salama, for his support and encouragement over the past 18 months. Does our research have an impact?